The Halloween Season is here! (And so is our new FREEBIE Friday download!) Using the scary themes from Halloween can be a fun time in the private teaching studio. Singing minor triads and arpeggios or exploring a chromatic scale is far more engaging with a ghostly “Oooo” or “Eeeee”. Bonus points for the teacher who can compliment the spooky warm-ups with some fun seasonal songs. Here are some of my favorite songs for the month of October! A short and fun song about the wind being in a terrible hurry. Allows singers to sing in a minor key with dynamic and tempo challenges. An interesting story about a knock at the door…but no one is there! out the actor in all our young students. A minor key melody with challenging tempo changes. 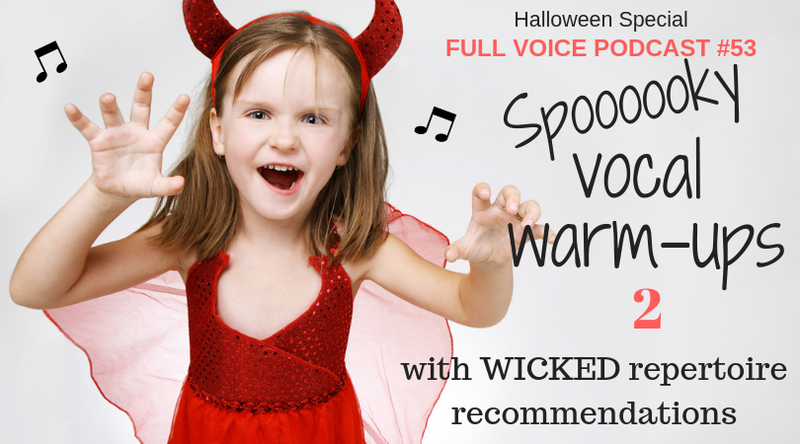 Kids Halloween movement Song "On Halloween"
Probably too scary for the littles, but your teens could have fun with this canon. Do you have a favourite spooky song that you LOVE? Leave a comment below and share your go-to songs for Halloween!